China and Europe should collaborate constructively to resolve trade conflicts, Premier Li told a news conference. 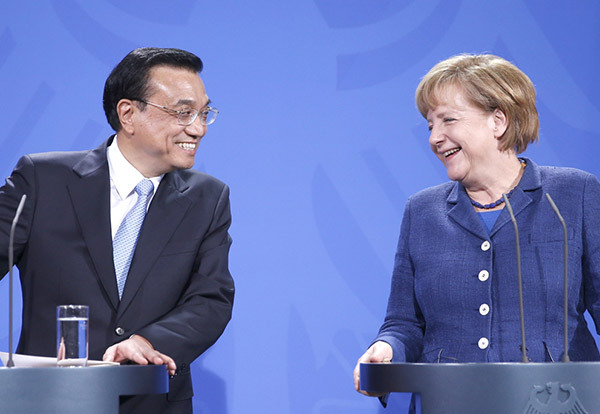 Premier Li said on June 13 that Sino-German intergovernmental consultations played big role in bilateral cooperation. There are many international cities in China. However, there are few with a distinctly German flavor like Shenyang. A total of 96 contracts worth $15 billion were signed on June 13 between Chinese and German companies at the eighth Chinese-German Forum for Economic and Technological Cooperation. China and Germany can cooperate further to tackle cybersecurity and other challenges posed by new media, said participants of the fourth China-Germany Media Dialogue. 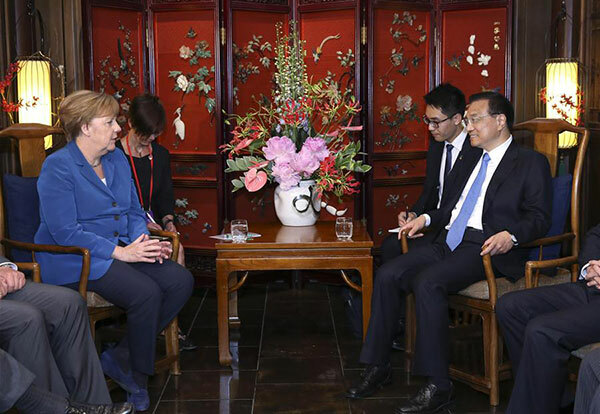 A special meeting was arranged between Premier Li Keqiang and German Chancellor Angela Merkel at the beginning of Merkel’s visit to China on June 12. German Chancellor Angela Merkel’s ongoing visit to China is focused on how the two countries can deepen economic relations and help boost a flagging global economy.